Your wedding photos are a lifelong investment. How will you remember your wedding day and show your children when the flowers have faded, the cake has been eaten and the dress has gone yellow? You could get disposable cameras, but when your guests are having a good time, will they remember to take photos? Can you guarantee the quality of their photos? You invest in your dress, buy a cake, so don’t skimp on the photos. They will be your only lasting memories of your special day. Weddings and people photography has always been a passion of mine as a photographer. Tim MacLachlan Photography provides a contemporary, relaxed approach to photographing your wedding with a mixture of reportage, informal and natural, and classical. I let the day unfold as it happens, allowing you to enjoy your special day, while quietly recording it in an unobtrusive way. At some convenient points during the day, I will take some informal and beautiful portraits of the bride and groom, and then, some photos of the happy couple together. These can be informal, contemporary, creative, romantic or traditional. The styles of photography is very much your choice – each couple have different tastes! Of course the family group shots can again be formal, and traditional, or maybe, relaxed, fun and informal. It all depends on what you would like! Tim MacLachlan Photography will provide beautiful images of your special day that will last a life time, at a price that will not break your budget. Packages start from only £250! so if you are really on a tight budget, high quality images are still within your reach! I excel in producing natural, emotional filled photos of the day as whole, and for photos of the happy couple, I offer a variety of styles to your preference, to give you a beautiful unique creative blend of images. 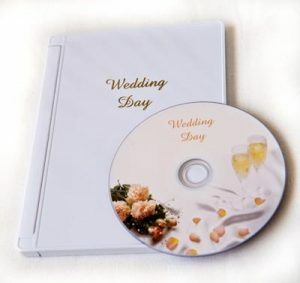 All digital packages have digital photos supplied on presentation disc. The images taken on the day will be hand-finished and optimised for printing in high-resolution file format. Photos will be in digital format on DVD-ROM allowing fast previewing on a computer and printing at high-resolution at a high-street store or online lab. You will also get a free slideshow of my personally selected photos set to the music of your choice which can be viewed in MP4 format for viewing on a computer or phone. The digital photos will be a mixture of colour and black/white depending on my artistic decision. However, if you have a preference of a finish over another, I will happily process photos with your preference in mind. The digital photo files are provided with shared-copyright release which means you are allowed to print and distribute them however you wish without permission from me. I am fully insured with professional and public liability.